President-elect Donald Trump announced Breitbart News’ executive chairman Stephen Bannon as his pick for the position of chief strategist and senior counselor in the White House, drawing sharp criticism against the appointment of the figure associated with the white nationalists’ “alt-right” movement. During his time at the helm of Brietbart News, the 62-year-old Bannon used the platform to vehemently criticize moderate Republicans, left-wing politicians, Muslims, Jews, women, the LGBT community and other minorities. 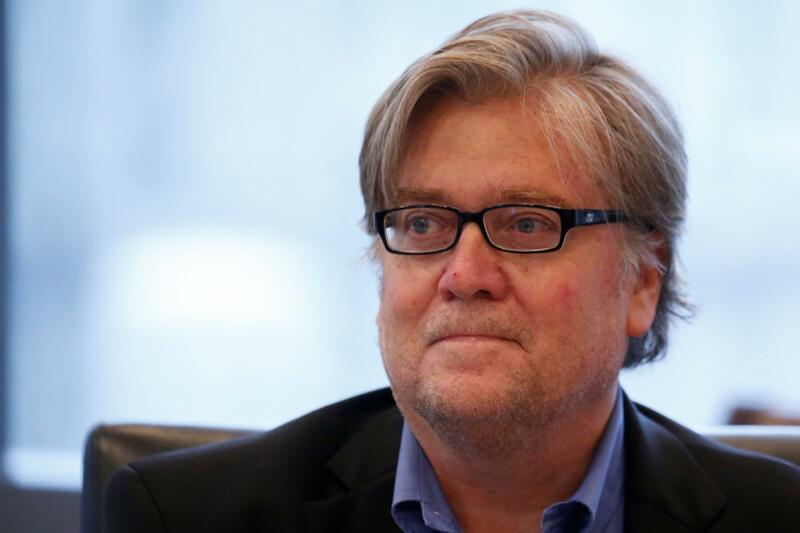 Alabama legal advocacy group Southern Poverty Law Center (SPLC) accused Breitbart of explicitly embracing ethno-nationalism under Bannon’s leadership. In August, Trump announced Bannon would join as the chief executive of his campaign, replacing former lobbyist Paul Manafort who left following revelations of his reported ties to pro-Russia Ukrainian politicians. Bannon will occupy the same position as longtime strategist John Podesta under President Obama. He will work alongside long-time GOP member Priebus, whose appointment has been looked at favorably by Republicans. Both men will operate as “equal partners” in his administration, Trump announced. The former Goldman Sachs banker has also had a controversial personal history. Court documents show his ex-wife, Mary Louise Piccard, accused Bannon of domestic violence and using anti-Semitic language in 2007. In February 1996, he was charged with domestic violence, battery and trying to dissuade a victim from reporting a crime, but the charges were dropped after Piccard did not show up in court. According to records, his wife claimed Bannon instructed her to leave town to avoid testifying. Bannon, however, has denied all such accusations.